High-quality, realistic adult mask of Marvel's villain. Super detailed and super scary! 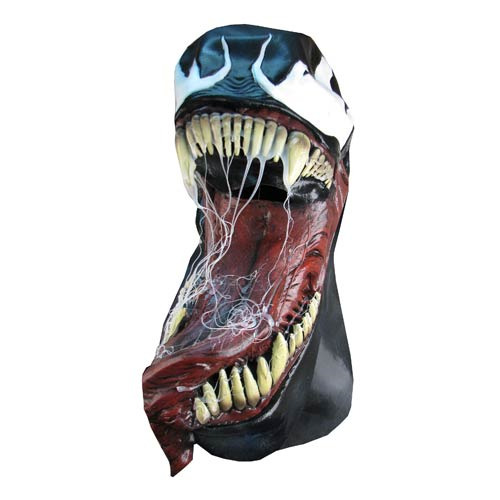 Would you like a really high-quality, realistic mask of Marvel's Venom so you can terrorize your neighbors and the gang at the office? This is it! From Rubie's, this Spider-Man Venom Signature Series Deluxe Latex Mask for adults is super detailed and super scary. Why, you might never want to take it off! Ages 17 and up.